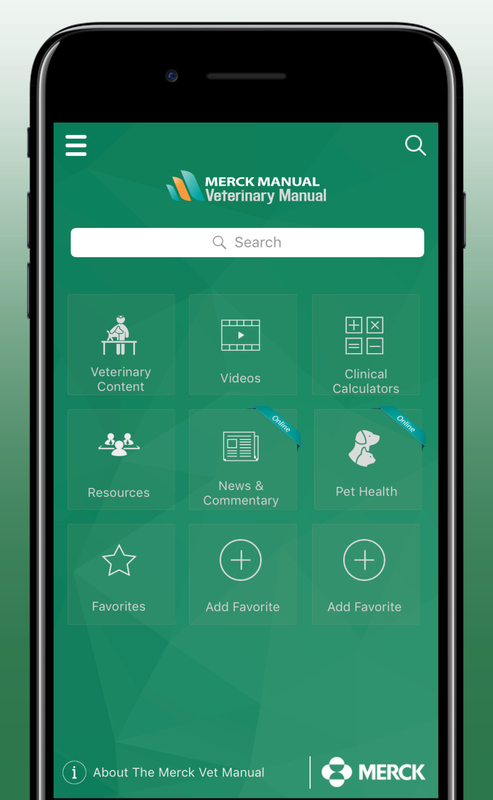 The Merck Vet Manual App digitally enhances all of the information in The Merck Veterinary Manual, making it readily available anytime, anywhere, according to the company. Accessible on multiple handheld devices, the app provides guidelines for the diagnosis, treatment, and prevention of disorders and diseases in companion, exotic, laboratory, and food animals. The app offers thousands of topics written by more than 400 veterinary experts from more than 20 countries; thousands of photos, illustrations, and videos of disorders and diseases; clinical calculators; numerous reference guides and hundreds of useful tables; and more. All of this material resides on the device, so accessing it does not use data, and after installation an internet connection is not needed. Download for iPhone at the App Store; Android, Google Play.